Our fall 2014 invite read: “the goals of these meetings are to build relationships, learn about one another’s work, share challenges, experiences & resources and to think together about ways to continue to address patriarchy, sexism and other systems of oppression as we work to realize values of social justice, democracy, mutualism, ecological sustainability, and cooperation.” The personal invitations predominately went to folks we knew involved in worker co-ops, food co-ops, worker co-op incubators, and solidarity economy advocate groups, though we also posted more public notices that went to community development credit unions and housing co-op organizers. A team member made a big dinner, we booked a room at The Commons Brooklyn, and on a weeknight gathered a couple dozen of us in a circle to talk about our experiences and desires. We met more or less monthly for 3 hours of venting, strategizing, and building skills and community until spring 2017. The meetings ranged from 6-10 people, featured dinner and confidential conversations, and usually included workshopping specific problems we experienced. Confidentiality generated trust and rotating both hosting and facilitation helped to ensure that all participants had a chance to lead and shape the conversations. Meetings usually followed a format of deep check-ins at the beginning and then picking up on a common theme where we could share insights, solutions, or information necessary for holding male leadership accountable. We also ran occasional skillshares, and the group developed very high trust which allowed us to individually support each other outside our meetings. The group also met informally at social gatherings or as its own secret caucus at conferences, which proved to often be sites of particularly oppressive and sexist practices. They were secret in part because it’s exceedingly rare for co-op or “new economy” gatherings to include identity caucuses focused on systemic issues, and we preferred to provide mutual support to each other than invest the energy in demanding such caucuses from institutional actors. New Economy Coalition provided a small grant to SolidarityNYC to cover the costs of making the gatherings more accessible, including covering meals, bilingual Spanish and English interpretation, and offering facilitation stipends. This helped ensure the financial burdens of preparing or procuring a meal or preparing materials and activities, or being monolingual English or Spanish speaking, did not prohibit anyone from participating. We intended to grow. Despite this, the group meetings were conducted only in English and we failed to become inclusive of the Spanish-speaking worker co-op community. There are many reasons for this, but the most obvious is that people were coming to this project for support with their workplace and organizational issues, not as a larger organizing project to unite women across class, race, ethnicity, and immigration status. There was always a tension to remain semi-closed to maintain confidentiality and trust while being open enough for new members to join. The group was also always disproportionately focused on worker co-ops rather than the whole solidarity economy, which can partly be explained by the sector’s extraordinary growth during the 2014-2017 period. Soon after our launch men (usually those in leadership positions) began questioning the group’s existence or asking to participate in something similar. We handled the former issue on a case by case basis, prioritizing the confidentiality of participants. For the latter, SolidarityNYC and our allies set up a men’s group, putting out a call for interested men via the group’s newsletter and connecting through friends of friends. The men's group began meeting monthly in Spring 2015 as a fluctuating group of 4-8 mostly white, straight, cisgender men, most of whom had some connection to the solidarity economy but were not in leadership positions. The group struggled to find its footing at first, as the format the women and gender non-conforming group used didn’t seem to fit the men emotionally. Originally they asked the women what we wanted them to do, and we as a group decided they would have to figure that out for themselves because we wanted to use our time supporting each other rather than structuring responses to the men. Some of the women did meet with the men a few times to discuss it, and the men did meet a request to perform allyship in instances of online misogyny. Otherwise, the men self-directed towards reading and discussing texts about patriarchy to learn more about the issue. As they got to know each other better and membership/attendance stabilized they were able to have deeper check-ins and more emotionally grounded conversations about they ways they are shaped by patriarchy, contribute to it, and fight against it. Meetings occasionally included workshop activities drawn from the curricula of other men’s groups such as the Challenging Male Supremacy Project. Participation in the women and gender non-conforming Everyday Solidarity group had tangible effects on our professional lives. We identified leadership positions in our organizations and movements and supported each other to move into those roles, including addressing barriers male leaders created to suppress the leadership of women and people of color. Together, we crafted solutions to pressing problems created by sexist leadership, and we helped each other see those solutions implemented. 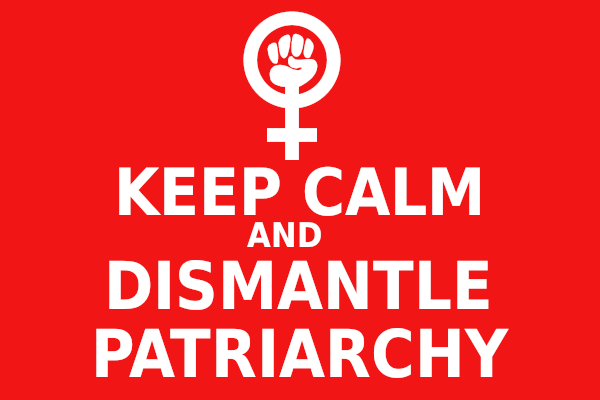 We developed a deeper awareness of how we allowed patriarchy to limit us and became more vocal and skillful about confronting it in the workplace or our movements. We practiced skills for confronting both internalized sexism - and that espoused by others. When we felt we just couldn’t take it anymore, or we really needed a place to take our anger and grief, the group provided an important emotional space for validating our experiences. We also got to know each other better as people, not just colleagues, and that made friendships or increased professional collaboration possible. It was a healthy gathering that we all looked forward to. A sister group formed in the Midwest and a whisper network, specific to co-ops, formed to warn each other about sexist or abusive men in the movement. Together, we crafted solutions to pressing problems...and we helped each other see those solutions implemented. Eventually the Everyday Solidarity women and gender non-conforming group stopped meeting regularly. Part of this was a direct result of a lapse in facilitation and hosting rotation, with some of the same individuals carrying more of the responsibility than others. An original leader had health problems and had to drop out of the group. People moved or left the city. Social dynamics shifted as people developed friendships outside of the group. Individual relationships and a strong informal support network built on trust existed beyond the meetings, plus we now had skills and solutions we created together, taking pressure off of us to meet monthly as a formal group. This made it harder to prioritize in our busy lives, though we remained in contact and maintained a listserv to address any crisis that required attention or discussion. Any participant could call a meeting or request help or share resources, and people still do respond to such requests for skillshares or peer listening and support. The men’s group had a strong positive impact on their lives as well. It provided a structured space for them to be vulnerable with each other and reflect on their lives and their relationship to patriarchy. It helped them to recognize emotional labor more in their relationships and to learn to do this labor together as men. They helped each other process things like getting called out for sexist behavior, and strategizing how to intervene in instances of sexism in the workplace. The men’s group continues to meet almost monthly and has grown slightly to 6 members. They have also developed a relationship with an older men’s group in Western Massachusetts and have visited them for joint meetings and participated in interviews for a book one of the Massachusetts men is writing about support groups. They have hosted some film screenings on feminist topics and coordinated discussions of them but aspire to shift the group’s rather internal focus to taking more action together. Overall, SolidarityNYC and the group participants found this form of peer support to be extremely beneficial not only for individuals but also for women and people of color collectively in NYC’s solidarity economy. Together, the women and gender non-conforming group shifted the make-up of leadership in co-op spaces, especially within the sector of worker co-ops, and we learned not only to fill leadership roles ourselves but also some new strategies for addressing unearned and unaccountable leadership by white men, who are often awarded these positions, or assume such positions by default. It is important that this labor and work remain anonymous, as it is incredibly risky for women and people of color to challenge white supremacy and patriarchy in our workplaces, organizations, and movements despite shared progressive values or ideals. The work of uprooting patriarchy and white supremacy is ongoing and possibly never will be done, but a mutual aid group of this kind proved to be a valuable tool for building solidarity and momentum for women and gender non-conforming solidarity economy leadership in our city. We offer these observations with the hope that you might find it useful to your own organizing, and where needed implement peer support of this kind to address systemic oppression. If you would like to learn more about setting up a similar group you can email info@solidaritynyc.org.